What’s up MTNMOB! 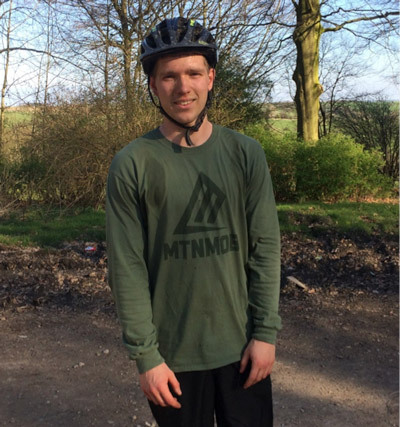 I’m excited today to introduce you to Jonathan Oddy – a MTNMOB Ambassador located in the UK. 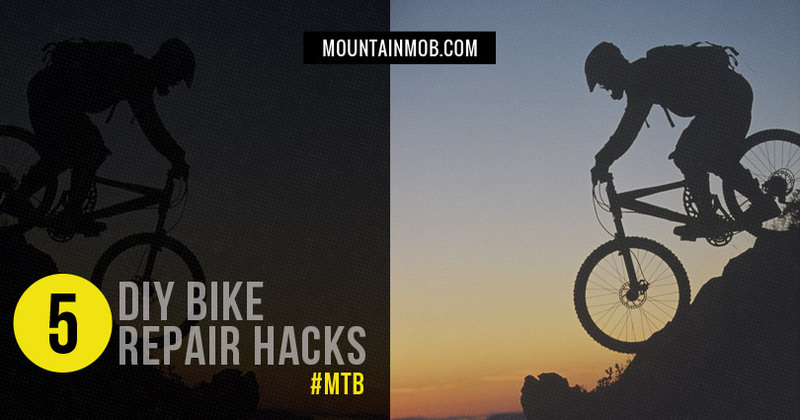 I’ve asked Jonny to share some of his expert tips for trail-side bike maintenance. He spends a ton of time on the trails and has picked up a handful of hacks that I think you’ll appreciate. 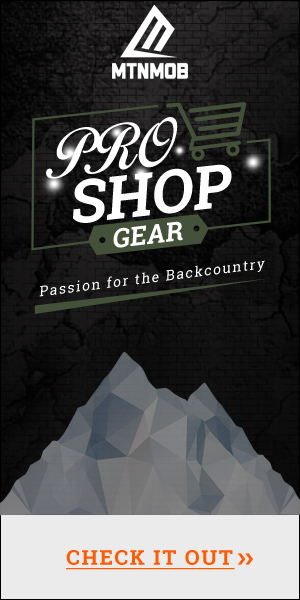 Hi there, my names Jonathan Oddy I am 23 years old and I am an ambassador for MTNMob clothing. I am an expert downhill racer from the UK and I will be writing a blog frequently about different MTB topics to hopefully help or inspire others. If you ride with a chain guide then you may have lost the lower roller in the past, causing your chain to slack and potentially drop. This can easily turn your weekend ride into a very sour experience. However, an easy fix is available. Using the cutting edge on the inside of the pliers, cut a segment out of the bottle. Use your arts and crafts folding skills to fold and cut a hole in each end of the segment. 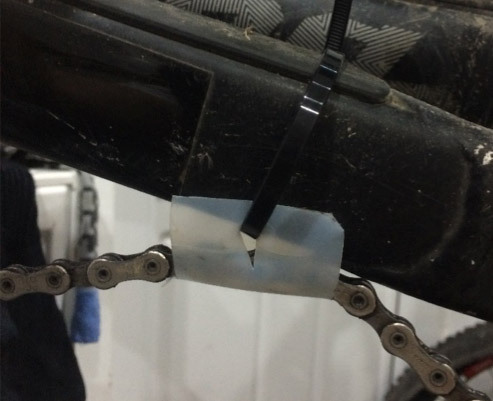 Using your cable ties to secure the piece of the bottle underneath your chain and to the chainstay. This should give you enough tension to not drop the chain and to get you back home! Have you ever been in that situation where you’re pedaling across a flat part of a track and then boom it goes uphill real quick? You hit that trigger to get in an easy gear and then all you get is top gear and no chance of getting up the hill. Chances are you have stopped all your buddies to and they are all cursing you. It’s happened to the best of us and unless you have brought a spare gear cable with you, it means you may be walking up all the hills or slogging it in a gear way too high for anybody! But did you know that just by fiddling with the high limit screw on your rear derailleur you can make this ride a bit more enjoyable? 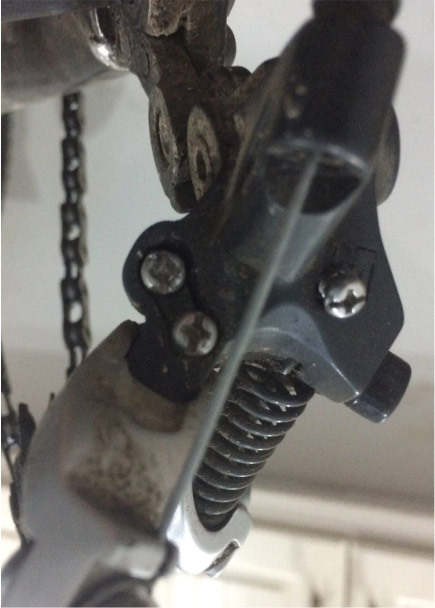 All you need to do is screw the hi limit screw in clockwise as far as it will go whilst taking the tension off the derailleur. Now pedal the bike and you will have found that the chain will now stay in a much easier gear than before. See that was painless and now your calves will thank you for not pedaling like an Olympian all over the mountain! You’ve just got a puncture, no big deal, but when you take the tire off you notice a hole in the tire itself! Now you could ignore this and put a new tube in and pretend all is good, but with a hole in the tire, there is a much higher chance that you could get another puncture, anything on the ground could quite easily bite into that exposed tube. How do we fix this quickly? Before putting that tire on the rim, take out that crisp packet from earlier, or the energy gel sachet, or even a $5 bill. 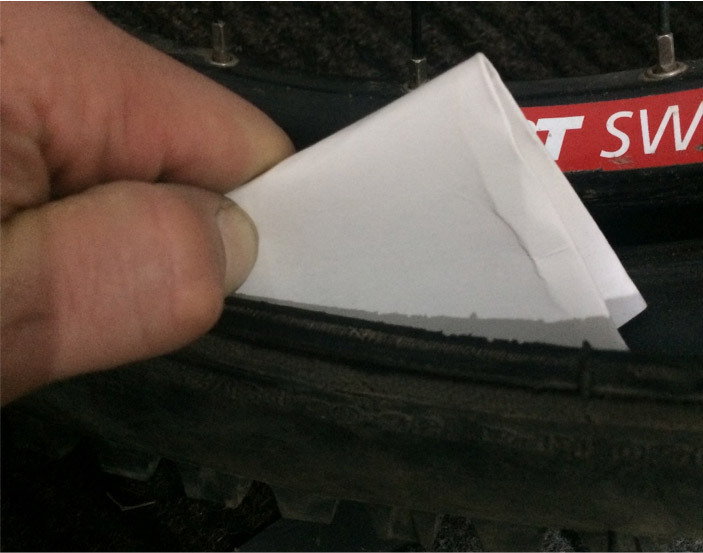 Fold your chosen patch and use insulation tape (if you have some) to secure it in place of the patch. If you don’t have tape then there is a good chance you can position the patch and keep it in place without tape. Now, this one may seem obvious to some readers, but I am always surprised by the number of times I have been on a ride where a friend is complaining about how their brakes aren’t working and they don’t do anything to solve it. they just leave it. This turns any ride into what sounds like a procession of turkeys squawking to each other, annoying for me, annoying for you but apparently not my friends who also cannot stop when they need to. They just leave it. This turns any ride into what sounds like a procession of turkeys squawking to each other, annoying for me, annoying for you but apparently not my friends who also cannot stop when they need to. 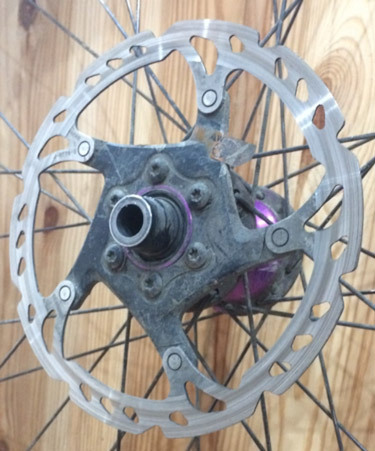 The cause of this problem is usually due to cleaning the bike, when spraying silicon spray, lubricants or applying grease it can be easy to end up with some on the rotors despite efforts to eliminate this. 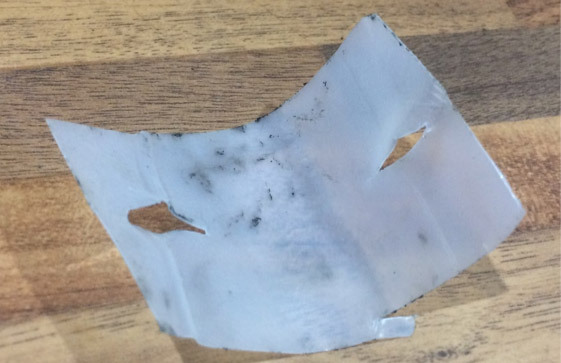 A simple solution is to use a nearby puddle (this shouldn’t be too hard to find if you’re in the UK) and basically soak the rotor in the water, you can use any water you have, but try to avoid using any sports drinks such as Lucozade as the sticky residue it leaves will not be great long term. Once soaked in water ride with the brake slightly on to slowly remove the water coating on the rotor. Build up speed quick with the brake off and do some hard stops. Repeat this a few times and then quench the rotor quickly with the water so it steams, this should have burnt away the oily coating on the pads that were present at the start of the ride. Bar ends are important for mountain bikes as in the instance of a crash when the bar comes into contact with the rider it will stop him/her from getting gored. They are always supplied with bars or grips, but it is quite easy for them to come off when a tree is clipped or in a crash. It is then always easy to forget to pick up the bar end from your bike. If you do notice your bike’s bar end has come off then it is important to put something in there to protect you for the remainder of the ride as you are now at risk of getting a nasty injury if you crash. A £1 coin or a pinecone will do the job nicely if you can find one. You can grip the coin or the cone with your lock on grips to secure it properly or just force the cone down the end of your bar. It may not be pretty but it is much nicer than a big gauge in your leg! If you want to you can try and trim it to the best length with your pliers! Please note this is only a very temporary fix, once home replace to a real bar end. 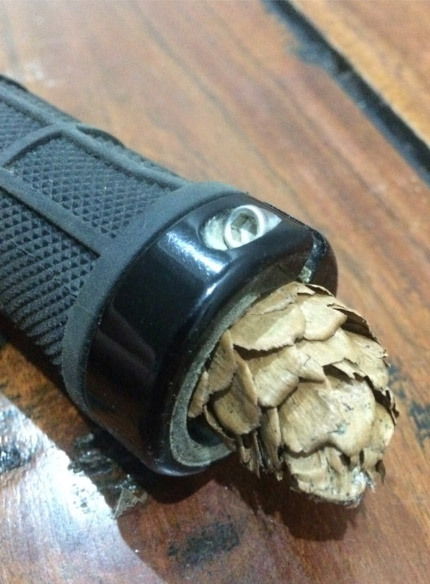 The humble pinecone may save you once but it is definitely not without its flaws. 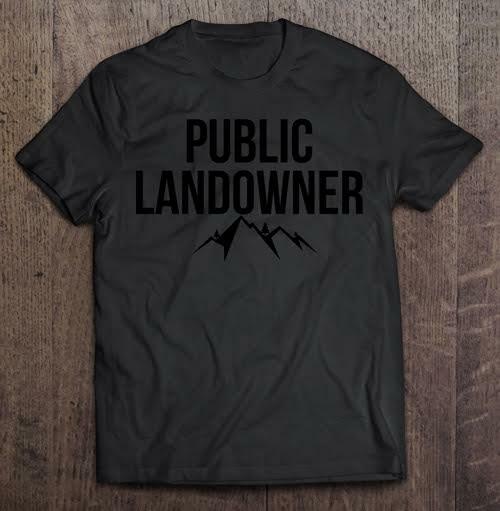 If you have these then you should be fit for most situations on the trail! Thanks for reading this, if there are any other tips or tricks that you know then feel free to let us know in the comments as I’m sure it will help me along the way!